Are you taking your ideas to market? We’ve got what you need: sky-high graphics and “eye candy” for booths, good portable structures for kiosks, and general accessories for installations to tower above all the rest and ensure that your demo is a high-traffic area! Productive Displays Inc. is a one-stop Chicago trade show display shop for all of your presentation needs; whether you want a flashy machine-shop display, an art-nouveau canvas banner with steel lattice support, or a trendy mock-lab installation for consumer interaction. 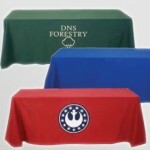 From hardware to graphics to design, we deliver results you can use to catch the public eye wherever you’re setting up. Give us your specs, your logos and images, your humble content yearning to be made impressive, and we’ll do the rest! At PDI, we have practical accessories like folding literature racks, lights and banner holders or extensive trade show booth design. Our print shop can deliver high-quality, large-scale graphics for any presentations or trade show displays, Chicago-bound or on their way out of state. And we can design complex, high-functioning installations to present your displays, with ease of use, portability, and sturdy structure in mind. Price trade show display systems both small and large, from affordable hangers to truss-based kiosks for more substantial demos: our smaller items start at under 100 dollars! 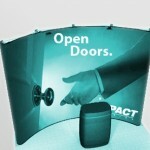 From there, you can choose stand-alone banner holders, metal-rack display units, or room-sized installations. 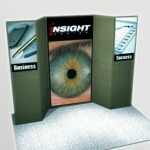 PDI will also rent some units, and we’ll refurbish your older trade show display system hardware. For graphics generation, we use a combination of RIP (Raster Imaging Processing) and DURAgraph laminators to produce banners that won’t “fold under pressure”; our well-maintained printers will get you vibrant, precision-inked panels for effective promotion. 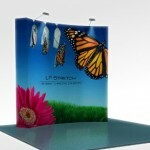 Let us take your promotional ideas and run with them to get you your imagined result: we’ll read your requests with an attentive eye to be sure we know what you’re looking for: call now or use our email submission form to get your project scheduled, to turn your Chicago trade show display ideas into realities. 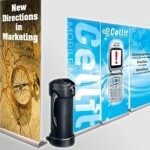 Productive Displays & Graphics is located close to where Chicago exhibits. · 5 minutes from Odeum Sports and Expo Center in Villa Park. · 10 minutes from the Schaumburg Renaissance Hotel and Convention Center. · 15 minutes from the Donald E. Stephens Convention Center in Rosemont. · 22 minutes from the Sears Centre, Hoffman Estates. 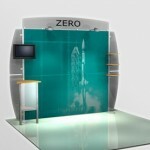 Can a custom tradeshow design increase the sales? Copyright © 1996-2010 Productive Displays And Designs. All rights reserved.